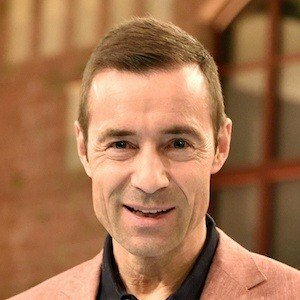 Television presenter who is most famous for hosting the German romance show Nur Die Liebe Zählt, of which he was the host from 1993 to 2011. He went on to become an all-purpose presenter for the Sat.1 channel, appearing on shows like "Die Glücksspirale" and "Stars am Limit"." He served in the National People's Army and studied computer science at the University of Magdeburg. He voiced the character Frozone in the German version of Pixar's The Incredibles (2004). He married a former flight attendant named Ilke, with whom he has sons named Marvin and Leon. He has co-hosted shows with Stefan Raab.